How Can I Safely Store My Gold Jewelry? How Should I Store Gold? If you are looking for storage options for your gold, it is important to take several things into consideration. In this blog, Affordable Family Storage Topeka will provide you with more information related to storing your gold jewelry. If you are looking to learn the basics of gold storage, we have provided some tips that could help you protect your gold items. Store Safely- When it comes to storing your items, make sure that you are storing them in a soft bag. Felt is recommended. Store each item separately to prevent tangles, corrosion, and scratches. To prevent theft, place your items in areas that are unexpected. Maybe consider placing a few soft bags in the bottom of larger bags, and then place into boxes. Remember where you placed your items! Clean Accordingly- Make sure that you are storing your jewelry in an area that is both clean and dry. If you are looking to store your items in a storage unit, this means that it would be a good idea to select a storage facility that offers climate controlled units to help prevent damage. Safety First- No matter where you are storing your jewelry or how secure you may feel the area is, you should consider insurance for your items. Your homeowner's policy might cover your stored items, so contact your insurance agent for more information. Make sure that you are renting a unit in a secure storage facility. Low Exposure- Make sure that you are keeping your gold away from air, rubber, and other materials that might cause your items to tarnish. If you are renting from a unit in a climate controlled storage facility and you are following the above tips, then you can rest assured that your jewelry will not be at risk of tarnishing. 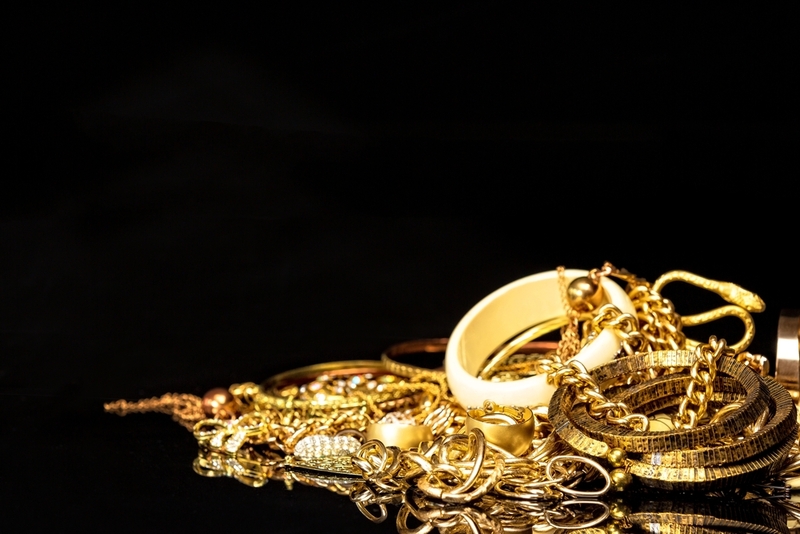 If you are looking for a secure storage unit to store your gold jewelry in, contact Affordable Family Storage Topeka today. We offer storage units of varying sizes that are climate controlled, and our units are a wonderful option if you are storing your valuables.